Maz wanted a very simple cake. 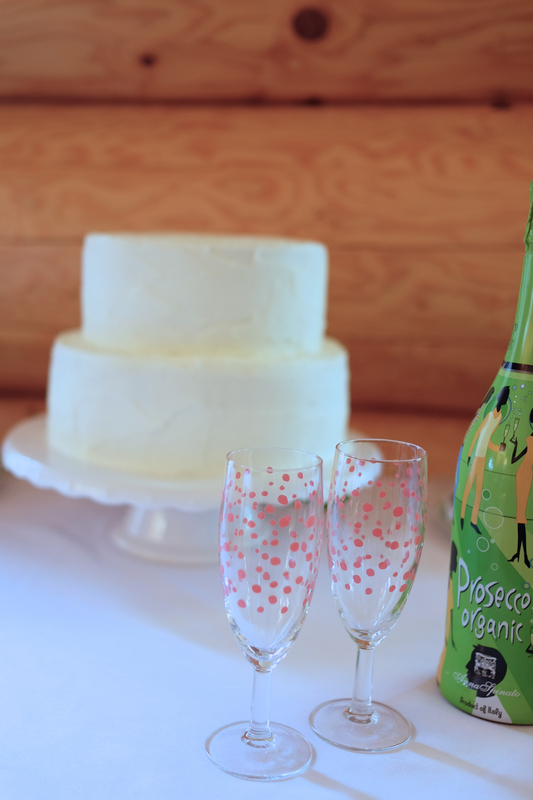 Her wedding colour was green so she asked me to make a green sponge and not tell anyone so that when she cut it open with her giant green knife everyone would be surprised. 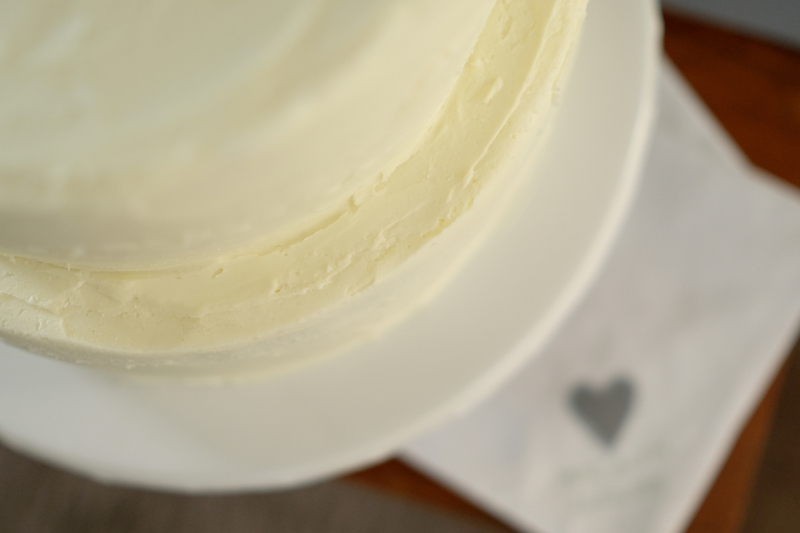 The cake was two tiered with vanilla green sponge lemon buttercream icing. 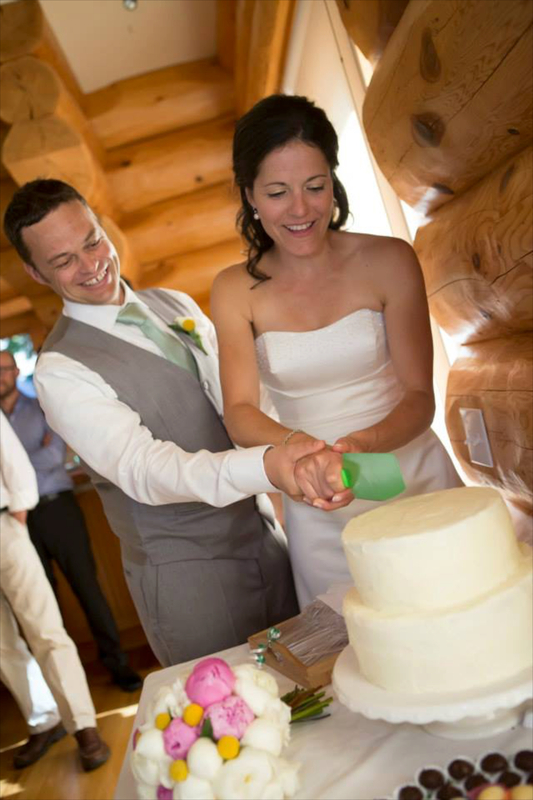 Maz and Tim cutting their green wedding cake with their green knife. Green vanilla sponge with lemon buttercream icing. 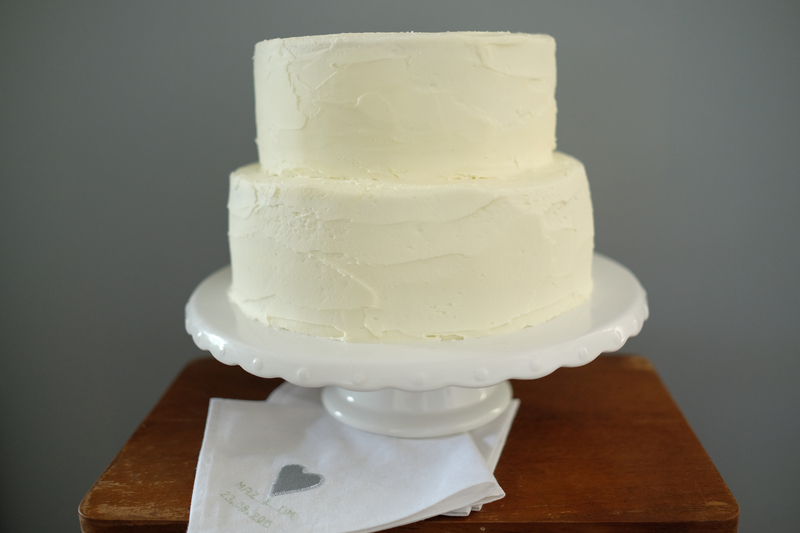 Two tiered green vanilla sponge cake with lemon buttercream icing and napkins. Two tiered green vanilla sponge cake with lemon buttercream icing. 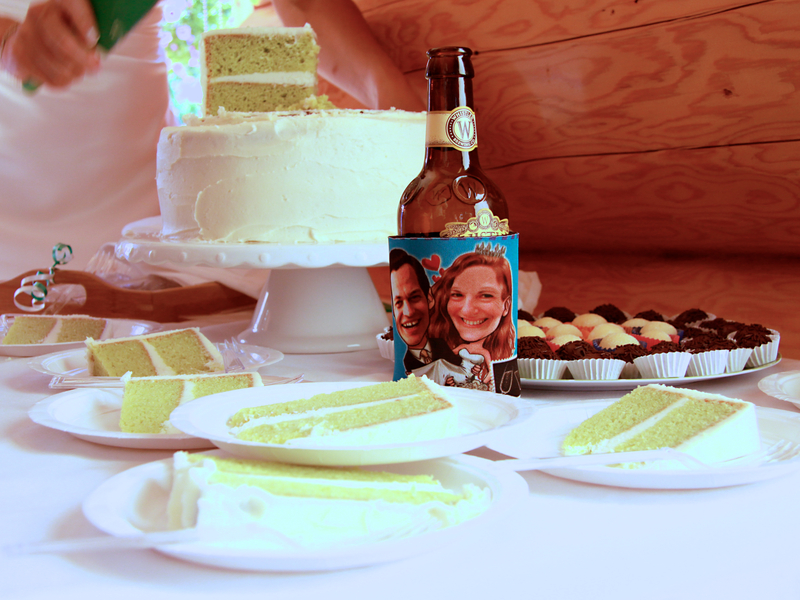 Inside Maz and Tim’s green wedding cake with their green knife. 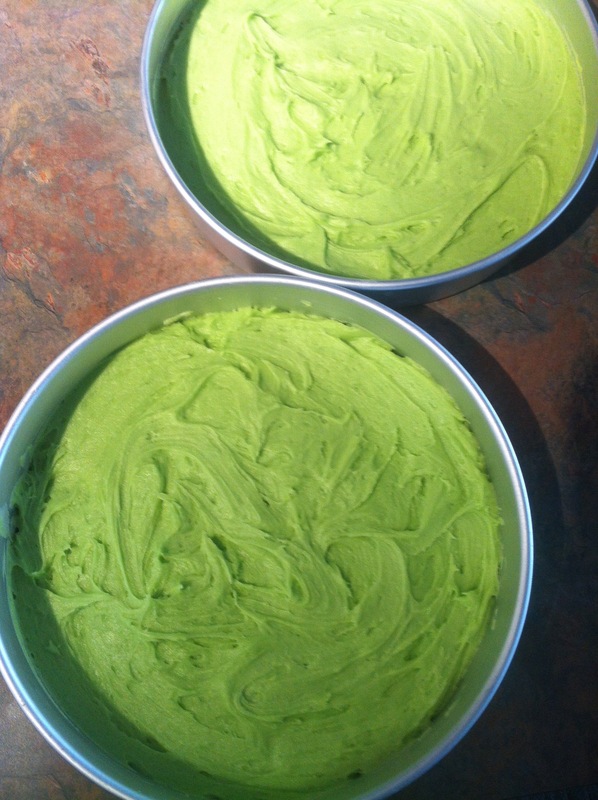 Green vanilla sponge with lemon buttercream icing.